increase the chances for successful pregnancy. Acupuncture addresses fertility challenges by its ability to influence the body’s chemical and functional physiology. It provides a systematic way of addressing these problems, and through gentle and specific needling techniques, guiding the systems to function together again in full health. Its extreme low risk and cost make it a powerful complimentary therapy. The amount of scientific research on acupuncture and pregnancy has expanded greatly in the past decade. There is a growing consensus among Western medical fertility researchers that adding a well-targeted schedule of acupuncture increases the success rate of pregnancy. Increases pelvic blood flow to promote follicle and egg health. Specific acupuncture point combinations and techniques increase blood flow to the reproductive organs. Healthy blood flow provides the ovaries and uterus with more nourishment and encourages the lining of the uterus to prepare for embryo implantation and growth. Balances reproductive hormones by increasing the body’s endorphin level. Scientists agree that stress can inhibit pregnancy. Acupuncture causes the body to release endorphins, which counter cortisol/stress levels and leave the mind calm and body relaxed- the perfect environment for a pregnancy to occur. Boosts the immune system and decreases inflammation. Having a strong immune system is very important in conception. Endorphins released by the brain during acupuncture can raise the amount of white blood cells, T-cells and antibodies in the body thereby increasing the body’s level of immunity. Moderating inflammation is particularly important for women with endometriosis. Our recommended care plans are based on clinical evidence-based protocols. Timing and frequency of treatments aim at optimizing IVF procedures, and the schedule can be adjusted to accommodate individuals with differing needs. 1x per week for 8 weeks before IVF medications begin. These treatments prepare your body by increasing blood flow to reproductive organs during follicular development. This stage is especially recommended for couples having had an unsuccessful IVF cycle in the past. 2x per week for 4 weeks prior to retrieval. Continual support for follicle development also alleviates possible side effects of medications and stress. The last treatment in this stage is scheduled the day before egg retrieval. Closely before and after embryo transfer. Based on the most recent research of IVF pregnancy rates, especially those with an expected pregnancy rate of 30% or below. Treatment soon after embryo transfer can help prevent uterine spasms and increase probability of implantation. These treatments will be coordinated at the recommendation of your IVF physician. A positive home pregnancy test or rising blood hCG levels is the first step towards a successful birth. Should you choose to continue to support your pregnancy with acupuncture, weekly treatments can help keep your body strong and mind calm during this precious time. 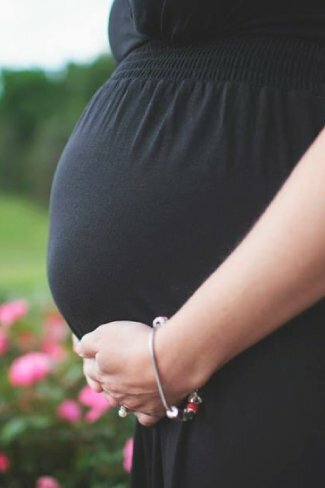 Almost any challenge a couple experiences as an obstacle to pregnancy can be addressed with acupuncture, including advanced maternal age, endometriosis, high FSH, polycystic ovaries, unexplained infertility, or dysfunctional fallopian tubes due to surgery or inflammation. Oriental medicine is my specialty, but am also a firm supporter of Western medicine. I encourage my patients to use BOTH modalities, each when most appropriate. I do my best to communicate with your physician to foster an integrated care approach, which I have found to be particularly effective with fertility issues. Studies show acupuncture to be particularly helpful for pregnancy, and I have taken a special interest in working with those experiencing fertility issues. Patients describe my style as “relaxed yet action-oriented,” as we have many success stories so far, both basic fertility and IVF. I encourage patients to share their unique health story, then together we create a treatment plan to meet their healthcare goal of a successful pregnancy. Please call for current pricing. We are not responsible for any billing associated with your insurance, and payment is expected at time of service. We accept cash, check, and credit cards. Patients are encouraged to speak with their insurance carrier in advance to see if acupuncture treatment is included in your policy; we are happy to provide you with paperwork and receipts for you to file for reimbursement. One in six couples have trouble conceiving: delayed motherhood, environmental toxins, and stress, all common to us, affect hormones. Wherever couples may find themselves in the various phases of fertility concerns, these challenges can be influenced – gently and safely – by acupuncture. Our commitment to working with each individual patient ensures a consistent, streamlined care plan for each patient as they move toward their goal of pregnancy. We make every effort to provide consistency through what can be a difficult, but rewarding journey. I had so many failed attempts and one heartbreak after the other. I read forum after forum online about successful IVF’s and failed IVF’s. The one common denominator for success was acupuncture. That is why I tried it. It was the ONLY thing that I did differently from all of our other attempts, so I am 100% positive that is why we have our little miracle now.